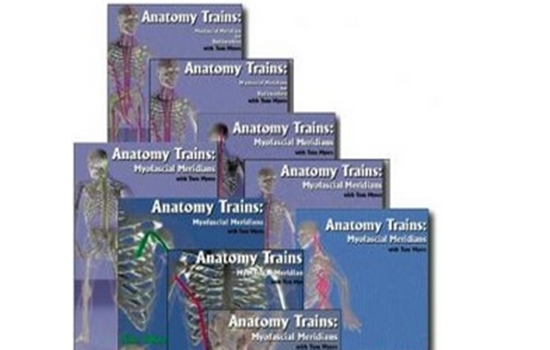 The full seminar set from Tom Meyers -10 DVDs that cover the human body. Each DVD has over a hour of content from Tom Myers! 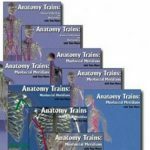 Learn the Anatomy Trains concept by taking a tour of the origins and disposition of the fascinating fascial net. We look at its components, its embryology, and its properties in human functioning. By viewing the fascial net as a whole, we see how the body can be seen as a variety of ‘tensegrity’ structure, where the dynamic interaction among bones, muscles, and the connective tissues produces our stance, movement, and ‘attitude’. The ‘rules of the game’ are laid out, and then each of the 12 myofascial linkages are explained and illustrated while they are being built onto the skeleton. These DVDs includes common diagnostic elements, and some simple stretches to expose tensions in each line.